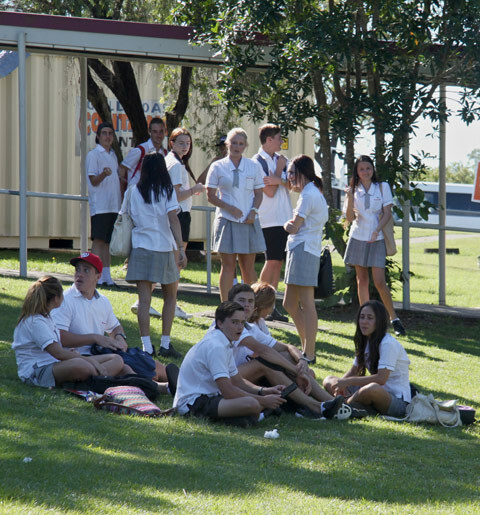 A high school year abroad in Australia can be arranged for students aged from 11 to 19. Students under 11 years of age must live with their parents or close relatives. Most exchange students with good English skills will be integrated directly into school classes in Australia. In addition, all of our high schools normally offer additional English lessons for students who need some extra support. Details about lessons for English as a Second Language (ESL) can be found on the page The Australian School System. If, however, your current English skills would limit your participation in classes, an intensive English language course may be required before you integrate into main-stream classes. Some schools offer 10-week high school English preparation courses on site and these can easily be extended if required. This high school preparation program is also described in more detail on the page The Australian Education System. Two-Year Study Abroad Option: This option is for those students wishing to complete the final two years of study at an Australian high school and sit the Australian high school exam. Australian high school study abroad programs are also possible for a full two years (Years 11 and 12). This option suits international students wishing to enter university as the Australian high school examination is recognised by universities both here in Australia and other countries. To attend school in Australia, you need a special Student Visa (Subclass 500). As well as attending school, student visa holders can also work for a maximum of 20 hours per week during their stay in Australia. To apply, you need the Confirmation of Enrolment (CoE) and Welfare Letter from your Australian school (Steps 6 and 7). Obtaining a visa takes a minimum of four weeks. You cannot apply any earlier than four months before your planned arrival. The visa is usually valid from one week before you start your school placement until approximately one week after you complete your school placement. (However, this may vary from school to school). Flights need to be booked accordingly. Anyone arriving in Australia prior to the effective starting date of the visa will be sent home immediately by Australian immigration authorities, without exception. All schools require you to be covered by an Australian health insurance policy (Overseas Student Health Cover – OSHC). The school will arrange this kind of health cover for you; policies cost approximately $300 AUD for six months. You will be given the insurance card on your first day at school, but the policy is valid from the date you first arrive in Australia. The OSHC covers basic doctor and hospital related health expenses while you are in Australia. Please be aware that specialist treatment such as dental, optical and physiotherapy treatment are not covered and some medical costs are only partly covered. OSHC does not cover you for illness or injury on your way to and from Australia and so we strongly recommend that you purchase comprehensive travel insurance before you leave home. Protrip-World offers good overseas travel health insurance cover.